The regulator for the government-controlled mortgage giants won’t let them trim loans for homeowners who owe more than their home is worth. Dec. 20: This post has been corrected. The Obama administration has been pushing for banks and investors to cut mortgage balances for homeowners who owe more than their home is worth. But the regulator for the biggest investors of them all -- the government-controlled Fannie Mae and Freddie Mac -- won't let the two do it. The administration and some banks themselves have increasingly seen reducing the size of a borrower's loan -- what's known as principal reduction -- as an important tool for helping the quarter of all homeowners who are underwater on their mortgages. The Treasury Department told ProPublica that the imbalance between what borrowers owe and what their homes are worth is one of the "main causes" of homeowners defaulting on their loans. The administration sees principal reduction as a win-win, keeping families in their homes and allowing owners of the mortgages to recoup more money than they would through foreclosures. The logic is that if homeowners owe closer to what their home is actually worth, it decreases the likelihood they will default on the loan even after its modified. Fannie and Freddie would seem to be the perfect players to promote principal reduction to prevent foreclosures. They're under government control, and they own or guarantee about half of the country's mortgages, meaning they pay the loss if a homeowner defaults. Because of that dominance, they also set the tone for how companies manage, or "service" in industry parlance, delinquent loans. John Taylor, the head of the nonprofit National Community Reinvestment Coalition, says Fannie and Freddie could easily and quickly affect the overall housing market. "They have the greatest authority and portfolio to make an impact," said Taylor. There are tens of thousands of loans "they can take care of tomorrow," he said. Fannie and Freddie, the two Government Sponsored Enterprises, or GSEs in industry lingo, have been under government conservatorship since the summer of 2008, when they nearly collapsed in the housing crisis. Since then, Treasury has pumped over $150 billion into the agencies, adding more funds nearly every quarter. Fannie and Freddie stand to cost taxpayers more than the rest of the bailout combined. Their regulator, the FHFA, is responsible not only for overseeing Fannie and Freddie's broad mission to support the U.S. housing market, but also for making sure Fannie and Freddie conserve their funds in the short term to wean themselves off government support. These two roles can run counter to one another. In this case, reducing principal for some homeowners could add stability to the housing market and save Fannie and Freddie money in the long term, but it would also force them to take an immediate hit to their balance sheets. "They've got a different set of objectives, in some way, different constraints," Treasury Secretary Timothy Geithner told a congressional panel yesterday, who nevertheless is encouraging FHFA to accept principal reduction. Laurie Goodman, senior managing director at Amherst Securities, a brokerage firm that specializes in mortgage securities, said private investors generally support mandatory principal reductions, but Fannie and Freddie have short-term pressures that will limit their interest. "A conservatorship ... conserves assets," she wrote in a report this summer, where she predicted that Fannie and Freddie will not likely accept principal reductions in the future. The regulator's aversion to principal reduction is "short-sighted," says David Stevens, the commissioner of the Federal Housing Administration, which runs a principal reduction program. The government should focus on making sure modifications are sustainable so homeowners don't default again down the road, says Sen. Ted Kaufman, D-Del., chair of the Congressional Oversight Panel. He says what you don't want to do "is start using taxpayers' money to modify loans, and then have them go belly up. That is clearly the worst case." A Freddie Mac spokesman deferred comment to the FHFA, and Fannie Mae spokeswoman Amy Bonitabus said, "We are continuously reviewing our policies regarding the modification of mortgages based on changing economic circumstances and our analysis of whether the policies are working." Industry insiders say they see a double standard, with Treasury encouraging the private sector to do principal reduction without forcing Fannie and Freddie do the same. They "sometimes seem the last to take action," said one servicing executive. This year, Treasury pledged billions of dollars to three programs to help both current and delinquent borrowers who are underwater on their mortgages. (Check out our overview of the programs.) Each program is structured differently to try to prevent what critics call a "moral hazard," where homeowners fall behind on their mortgage just to qualify for the reductions. Fannie and Freddie are not participating in any of them. The Wall Street Journal reported last week that the Obama administration has been pressuring the FHFA to allow Fannie and Freddie to reduce principal, and that they are "in talks" about joining the program that targets borrowers who aren't behind on their loans. Yesterday Geithner testified that he was "hopeful that they're going to find a way to participate in many of these programs as possible." Industry analysts, however, have expressed doubts that the talks will have much impact. Congressional Republicans have been particularly vocal in pressuring the FHFA against doing principal reduction. Even though President Obama appoints the head of the FHFA, the president's authority to exert control ends there because the regulator is an independent federal agency. Congress, however, can pass legislation forcing the FHFA to allow principal reductions. Credit Suisse analysts wrote last week, "Given the current make up of Congress, it would be difficult to get a borrower bailout law approved, in our view." 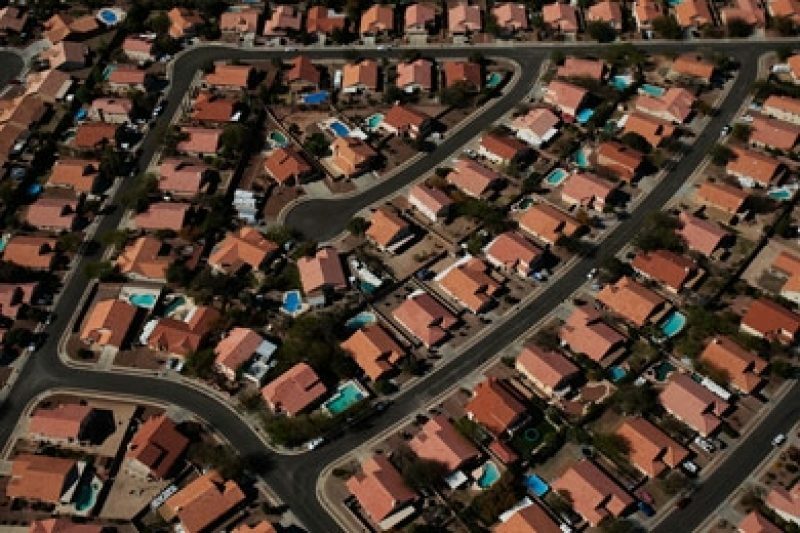 Treasury has been "uber-strong" in its support of principal reduction, according to Lon DeWeese, the chief financial officer of the Nevada housing agency that runs the state's Treasury-sponsored program that includes principal reduction. Meanwhile, banks have also been seeing the benefits in reducing principal in certain cases as well. Indeed, nearly all principal reductions that occur happen for the loans banks hold on their own portfolio, where they have the fewest obstacles to the modifications. Over the last year, banks have used principal reduction on almost a third of modifications on loans they own, according to ProPublica's analysis of regulator's data. Wells Fargo and Bank of America, for example, have both agreed to consider principal reductions in the Treasury's main loan modification program, but only for loans that they own outright. One bank executive said that their internal analysis predicts that a "good percentage" of their government modifications will soon involve principal reduction, since the calculations indicate that they will recoup more money by reducing principal. "If it's good enough for their own balance sheets, where the banks have the risk, why wouldn't it be good enough" for Fannie and Freddie, asked FHA Commissioner Stevens. Investment analyst Goodman said the calculations for Fannie and Freddie can differ from the rest of the market because Fannie and Freddie have financial arrangements that force other companies to cover losses for some defaulted loans. Many of their delinquent loans have mortgage insurance, which requires insurance companies to cover the loss when borrowers lose their homes. Doing a principal reduction also limits Fannie and Freddie's ability to recoup their losses by forcing lenders that originated the mortgages to buy back bad loans. Even if not every underwater loan qualifies, the administration thinks "there's a pretty good economic case for Fannie and Freddie to participate in those programs," Sec. Geithner testified yesterday. For example, the voluntary "Principal Reduction Alternative" to Treasury's main loan modification program encourages adjustments only where reducing principal costs less than letting the home go to foreclosure or than doing a modification that doesn't trim the loan. But Fannie and Freddie are not participating, even though the program is only for principal reductions that would save them the most money. The pressure to stem short-term losses means that over the long term, Fannie and Freddie might be leaving some money on the table. "Our thinking was that maybe it is a bit myopic of the collective conservatorship to just say, 'No,' out of hand because of the immediate impact," Nevada's DeWeese said. The administration acknowledges the tension between short-term and long-term demands, saying it tries to "strike a balance" between helping homeowners to prevent avoidable foreclosure and protecting taxpayer interests, said Treasury spokeswoman Andrea Risotto. Homeowner advocate Taylor said he is upset that Fannie and Freddie aren't being forced to accept principal reduction because they "would be out of business tomorrow" without taxpayer funds. Correction, Dec. 17, 2010: This article previously stated that Fannie and Freddie are Government Sponsored Entities. It has been corrected to reflect that they are Government Sponsored Enterprises.